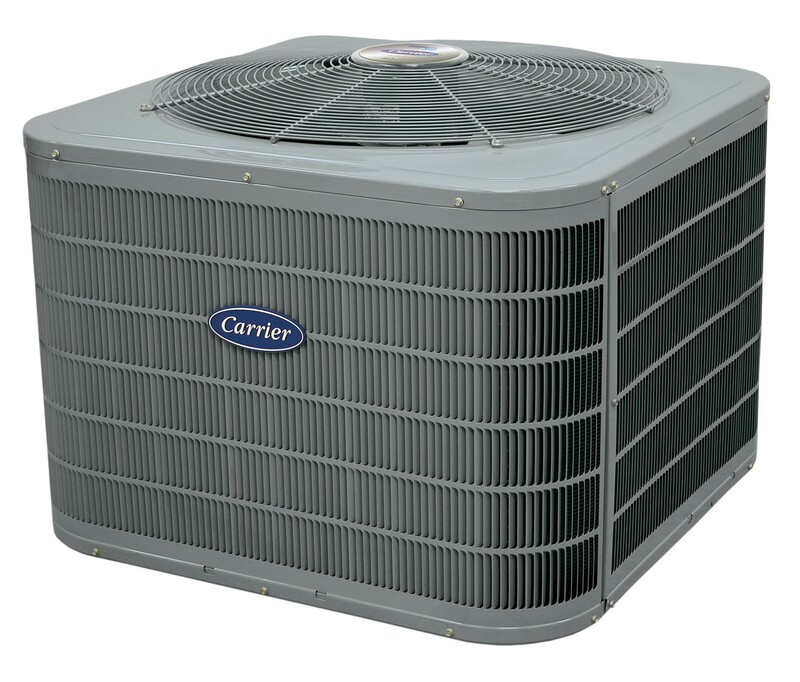 Functionality (A/C Only/Heat Pump) - AMHAC, Corp.
Air Conditioners perform two functions: heat removal and moisture removal. Generally the lower the humidity level the more comfortable you will feel at a given temperature. As the warmer air passes through the filter, it passes over a very cold coil where the heat and moisture are removed. The evaporator coil removes the heat from the air which is then blown through the series of ducts in your home, which are attached to your air handler. The air handler is the indoor component of a split-system air conditioner or heat pump, containing the evaporator coil, blower and many of the components of your ventilation system as well. It is usually set inside the home and operates with both the heating and cooling components of your HVAC system. If you take a quick look at an air handler, it may closely resemble a furnace. They can run with either an air conditioner or a heat pump and contains the indoor coil used to cool and heat your home depending on which system it’s running with. If you’re searching for a conventional furnace or air conditioner, you’ll likely never need to know what an air handler is because it’s probable you won’t need one. However, if you’re in the market for an electric heat pump, it’s helpful to know that an air handler will probably be a part of your home’s HVAC system. The innovation, efficiency, cost savings & quietness of a heat pump has become the best solution for keeping many homes comfortable year round. As many would agree, the more efficient, the better and some heat pumps offer a higher energy-efficient alternative to furnaces and air conditioners. The most common type of heat pump is the Ductless mini-split, air-source heat pump. The ductless mini-split transfers heat between your house and the outdoor air. During the warmer months, a heat pump works as an air conditioner, extracting heat from inside the home and transferring it to the outdoor air. In colder weather, the process reverses. The unit collects heat from the outdoor air to transfer inside your home. This is a matter of producing air versus transferring. When temperatures are cold outside air still contains some heat, however when there is not enough heat in the outside air to meet the thermostats desired temperature setting, an electric heater supplements the outdoor air to warm the home. In contrast, a furnace would have to transfer fossil fuels or electricity into heat, while the heat pump collects heat already existing in the outdoor air. For homes without ducts, air-source heat pumps are also available in a ductless version called a mini-split heat pump. A SEER (Seasonal Energy Efficiency Ratio) rating measures cooling efficiency. A higher SEER number produces greater savings. Today’s heat pump can reduce your electricity use for heating by approximately 50% compared to electric resistance heating such as furnaces and baseboard heaters. High-efficiency heat pumps also dehumidify better than standard central air conditioners, resulting in less energy usage and more cooling comfort in summer months.